Sensor data visualization tools provide an excellent opportunity to see patterns which may otherwise remain hidden in those datasets. Security and occasional performance issues aside, IoT has already created more productive environments in the business realm; by 2025, its direct economic impact on retail, manufacturing, healthcare and other key industries will top $3.9 trillion. Continuous data acquisition is what makes connected devices so valuable. By analyzing sensor data, companies can identify bottlenecks in supply chains, predict equipment failure, successfully address overstaffing issues and optimize operational costs. The data generated by over 8.4 billion consumer and business-specific IoT devices around the globe is largely underutilized. A company that makes use of an oil rig enhanced with 30 thousand sensors, for instance, only processes 1% of the data collected by the IoT solution and mostly focuses on sensor readings which help them detect and manage abnormalities. Furthermore, the amount of sensor data produced by IoT solutions is enormous: by 2020, it is expected to reach 44ZB (1000% up from 2013). Not only are the acquisition, storage, analysis and implementation of IoT data rather costly, but also businesses often lack tools and expertise to interpret and present the data effectively. And that’s why the Internet of Things’ future and commercial adoption largely depend on data visualization technologies. In the age of IoT, data analytics is no longer limited to the number of website visitors and their demographics; modern technologies allow us to trace the links between seemingly unrelated things like the type of food people consume and a heatwave registered in a certain area. Without data presentation tools, it would be practically impossible to interpret sensor readings coming from multiple data points distributed over a network, filter out insignificant entities and timely identify changes in smaller datasets (which might denote a performance issue or a marketing trend). On-point data visualization means stronger analytics and, subsequently, helps companies make better business decisions regardless of the data model they implement. What kind of data we are talking about? What are the tools enabling effective data visualization? What impact could data visualization have on various business verticals? Let’s address them one by one, shall we? Connected devices are enhanced with temperature, moisture, light, motion, location and other types of sensors which produce the so-called status data, which is, in a nutshell, just a stream of values that should be filtered, analyzed and managed effectively. In order to use raw data for business processes automation and optimization, we need to turn it into actionable data – that is, enable IoT gadgets to automatically execute an action (send alert notifications to managers and users, turn on the lights, order equipment parts that will soon need replacement, etc.) once a certain type of behavior is registered. Going back to our oil rig example, businesses should focus on high-value actionable data that is easy to access from any device, available on demand (often in real time), does affect a company’s customer base and departments and could potentially entail meaningful changes – provided it is analyzed and acted upon. The good news is, only 1.5% of the digital data produced in 2013 could be interpreted into meaningful insights, so the task is at least manageable. While it is cloud-based or on-premises back-end solutions with complex business logic that compress and digest incoming data, we must display it in a convenient way, thus enabling users with no technology background to operate IoT solutions and make data-based decisions. Here’s where data visualization tools come in handy. Before we enumerate several popular software libraries and platforms supporting sensor data processing and visualization, it’s worth mentioning that the concept of data visualization goes beyond displaying information in graphs and charts readable to human users, since software applications can also use sensor-generated data inputs as triggers. That’s how increased automation – which is the primary goal of the Internet of Things – is achieved. 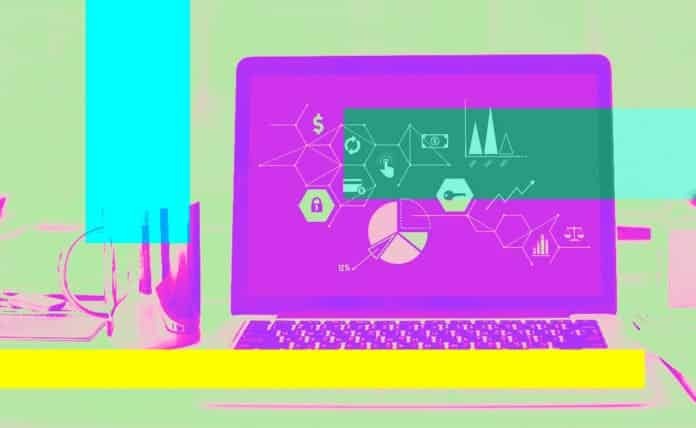 Furthermore, we should not ignore the fact that IoT analytics data can be accessed from a variety of screens and even via screenless user interfaces. What visualization tools could you use to unlock the power of Big Data and deliver the ultimate cross-platform experience? IBM Watson IoT Platform. Being a universal hub for Watson-powered IoT solutions, the platform features built-in web applications and supports the integration with 3rd-party software via REST APIs. The service helps businesses create easily customizable minimalistic diagrams, graphs and tables displaying static and dynamic data, access device properties data and set up alerts. Power BI. The Microsoft Power BI solution is designed to trace and visualize data gathered by a variety of sensors including temperature, sound, motion and location tags, as well as healthcare sensors, and promptly identify trends across IoT device installed base. The platform works in sync with Azure cloud-based analytics and cognitive services. This list is by no means complete, and the choice of an actual data visualization tool depends on a company’s goals, customer base, target platform and type of sensor data they intend to collect. Here’s a simple example to illustrate our point. Core Plot, a reliable plotting library for iOS, tvOS and macOS applications, allows software developers to create high-quality 2D static charts, as well as charts which are seldom updated. When it comes to real-time data visualization, however, the tool introduces a 2-3 second lag between data processing and presentation and seriously affects rendering speed. This makes Core Plot totally unsuitable for data visualization applications which facilitate the management of mission critical solutions – for example, medical or manufacturing equipment. In order to speed up data visualization, it is recommended that you use a low-level programming solution like OpenGL. Either way, it is essential to consult a reliable Internet of Things development specialist to choose software components that would best meet your needs. As of now, data is used by 95% of US organizations; 84% of those believe it is key to forming viable business strategies. However, the growing adoption of data-driven business management most often falls to performing traditional Business Intelligence (BI) operations and leaves decision makers with piles of spreadsheets – that is, information which is hard to digest. Sensor data visualization tools provide an excellent opportunity to see patterns which may otherwise remain hidden in those datasets; according to a recent study conducted by the University of Texas, just a 10% increase in data accessibility and usability can have a profound impact on a company’s revenue and customer experience. First, it’s increased employee productivity, as managers who make use of data visualization tools are 28% more likely to detect valuable information. Second, it’s reduced customer support costs: companies that implement data visualization solutions admit 48% of their customers manage to solve basic service issues without a human support specialist. Finally, it’s an opportunity to make up shortfalls in finding skilled analysts (in 2018, the demand for BAs will outgrow the supply by 50-60% in most sectors) in an effective way and subsequently enhance decision making. 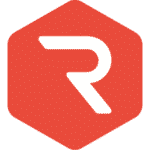 R-Style Lab is a custom software development company based in San Francisco, CA. Our major focus is IoT – namely, mobile apps enabling sensor data management and visualization, powerful back-end solutions, middleware and low-level software. We’re happy to share our knowledge with you!